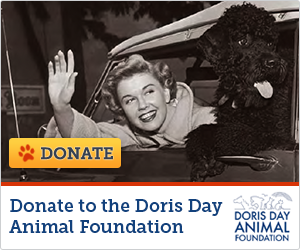 Doris is teamed with Gordon MacRae again, in this story of a Hollywood Star (Doris) and a West Point Cadet (Gordon). Gene Nelson is again along for the ride and some dances, along with Virginia Mayo. This is the first time James Cagney co-stars in a Doris film, but it won’t be the last. The major songs from the movie were: “You Love Me” and “I Only Have Eyes For You”. James Cagney delivers a very different performance as a down-on-his-luck Broadway producer/director. He plays out-of-work director Elwin "Bix" Bixby, who reluctantly accepts a job from producer Harry Eberhart (Roland Winters) to stage a show at West Point written by Harry's nephew Tom Fletcher (Gordon MacRae). Harry thinks Tom's show could be a Broadway success if he would only quit West Point. 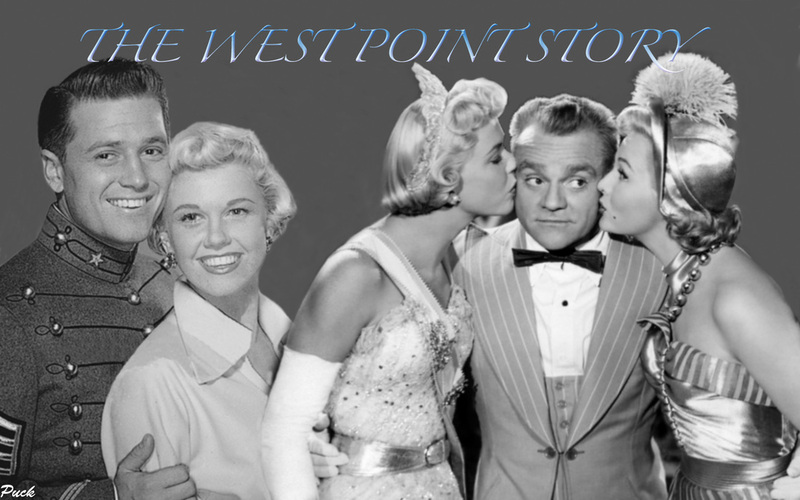 Bix travels to West Point, with his girlfriend, Eve (Virginia Mayo), in tow, to whip the show into shape. But Bix is frustrated by the academy's rules, which interrupt his rehearsal schedule. In frustration, Bix hits a cadet. In order to continue to work on the show, Bix must become a cadet himself, and deal with the attendant hazing that entails. His bright idea to save the show is to coerce a "friend in the business" to work on the production. Enter Jan Wilson (Doris Day), who is brought out to play the female lead role in the production. Tom falls in love with her, but complications of show business vs. military rules cause problems. As in most Hollywood Musicals, there is, of course, a happy ending. Eve Dillon: I've been "taking 10" since I've known you watching you fight your way to the bottom! Elwin 'Bix' Bixby: I don't fight, Baby. I'm a lover! Eve Dillon: You heel! Can't even pay a hotel bill! In debt up to your ears, and it's horses! Horses every second you're awake! Horses, horses, horses! Elwin 'Bix' Bixby: I don't drink or smoke. Eve Dillon: I accepted their invitation for you to become a cadet. Elwin 'Bix' Bixby: You what? Eve Dillon: You heard me! Elwin 'Bix' Bixby: And I just accepted an invitation for you to go over Niagara Falls in a barrel! Now, who goes first? "By the Kissing Rock" - Performed by Gordon MacRae and Alan Hale Jr.